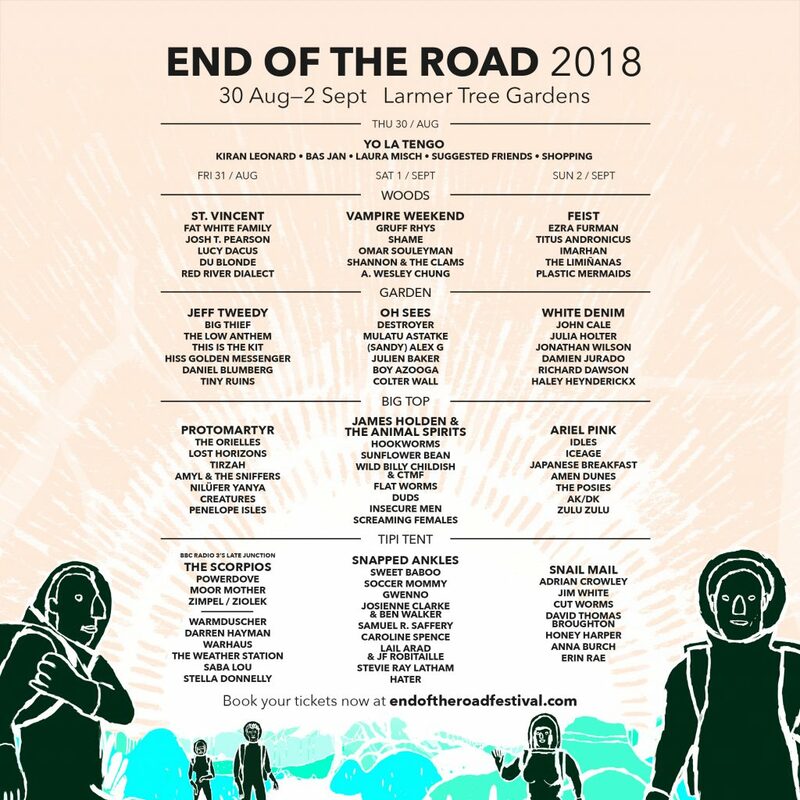 With just six weeks to go until End of the Road 2018 opens its gates, we are thrilled to announce the final additions to this year’s already exceptional music line up. Political post-punk outfit Shopping released their Edwyn Collins produced third album The Official Body earlier this year, showing off a band not only at their creative peak but also at their most vital and exhilarating. Since leaving Yuck, Daniel Blumberg has shown himself to be a restless talent. Some might have spotted him playing and recording at London’s Cafe Oto recently, where he met and collaborated with a range of musicians that led to his brilliant debut record Minus. Swedish indie pop quartet Hater take their musical cues from the likes of Alvvays, The Pretenders and The Radio Dept. Their full length debut You Triedis an intoxicating mix of indie-pop, post-punk, and classic rock all led by frontwoman Caroline Landahl’s gorgeous vocals. Finally, the outrageous noise merchants born out of Australia’s East Coast punk new wave Amyl and The Sniffers, have quickly delivered a stockpile of grimy riffs and blistering live shows, while having as much fun as possible. And with the electric lead singer Amy Taylor at the helm, they’ll make sure you do too.